The extraordinary experiences of a man who spent more than 15 years in prison. The lessons he learned. The changes he made. The person he became. The inspiration he has to offer others. This book will motivate people for years to come. Damian Lee, an artist, motivational speaker, entrepreneur, and writer, served more than 15 years of his life in prison. Born in Wash., DC, he began his life on the wrong track. After his unfortunate second incarceration, he decided to take advantage of his time, to learn all he could, and to learn ultimately to give back to society instead of taking from it. Damian Lee now lives with his fiance, Dominique Thompson, in Lexington, Ky.
1. The 7 Keys to Strolling Through Hell Smiling, Holding a Glass of Ice Water: How I Used the Worst of Conditions (Prison) to Learn the Best Within Me. 4. 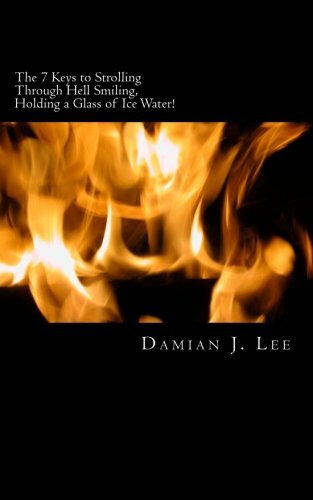 The 7 Keys to Strolling Through Hell Smiling, Holding a Glass of Ice Water: How I Used the Worst of Conditions (Prison) to Learn the Best Within Me.